Photo "For Silvia, with complements!" oh.. such beautiful flower! ..i like them a lot.. coz of their simplicity and delicacy...and you captured it under a so nice warm light..
oh.. i read the notes you added now.. so, again thanks for dedicating to me a little miracle..
Great shot and great gift for Silvia! Sweet gift, Josip. 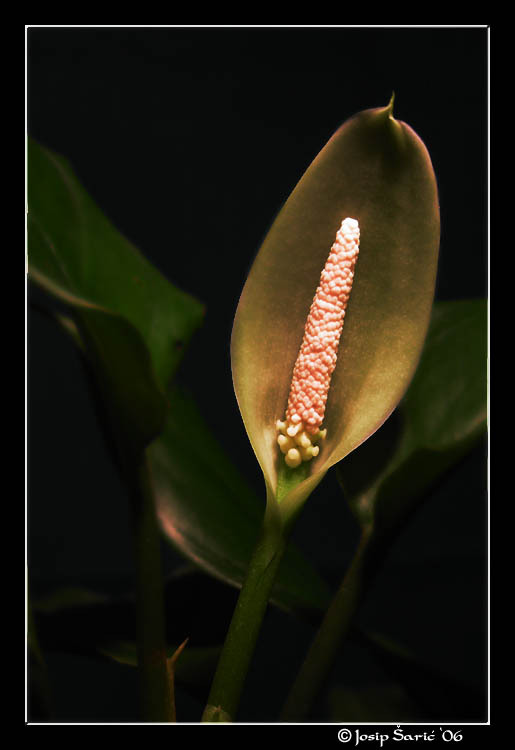 Excellent capture of the peace lily flower (as we call them here) - it came out in perfect timing! Superb light enhancing the flower beauty, excellent details and colours, nice background contrast! Beautiful flower. Good gift for Silvia. Greetings! Good detail and softness. beautiful against this bg. Regards Dr.